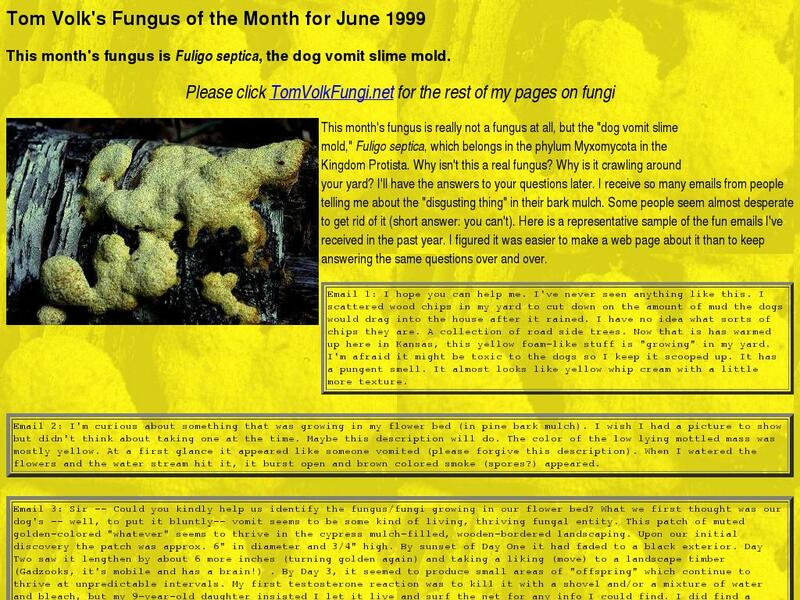 This informational website features the slime mold Fuligo septica, Tom Volk's Fungus of the Month for June 1999. It includes an audio pronunciation tool, educational information about slime molds, and their inspiration behind the science fiction movie "The Blob"- including an audio clip of the theme song. The site also lists e-mails from people concerned about a Fulgio septica, described as yellow, foam-like substance growing in their flowerbeds. A link is provided to Tom Volk's Fungi Website.